Snap Inc on Tuesday reported higher-than-expected quarterly revenue but its first-ever drop in daily Snapchat users. Saudi Arabia’s Prince Alwaleed bin Talal announced soon after the second-quarter results that he had finalized a $250 million deal in May to buy a 2.3 percent stake in Snap. Shares in Snap climbed more than 12 percent in after-hours trading before reversing course. They were last down about 1 percent. Snap has been working to convince big advertisers to spend more of their budgets on Snapchat ads and reach the app’s base of mainly 18-34-year-old users, and it beat analyst revenue forecasts as it drew in more international and small business advertisers. Snap has been redesigning its app to encourage users to interact with more of its ad-supported videos. Chief Executive Evan Spiegel said in prepared remarks that the redesign was the primary reason for usage slipping, but he credited the changes for increasing viewership of key ad-supported content this year. “We believe that this is an important evolution of our product that will help drive future growth in engagement,” he said. Snap had never before logged a quarterly drop in daily users, according to data it has released going back to 2014. 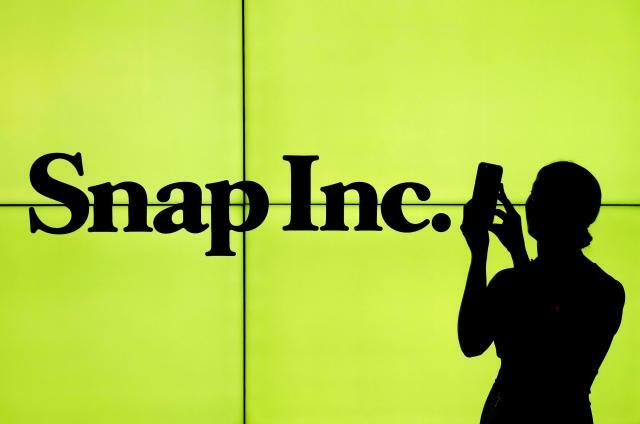 Analysts on average expected Snap to gain nearly 2 million users in the second quarter from the first quarter, according to Thomson Reuters. The company said it set a record for monthly users but did not disclose the figure. Earnings from Facebook and Twitter Inc in recent weeks spooked social media investors by showing issues around data privacy, abusive content and phony accounts were weighing on user growth and sending expenses higher. Both companies shed some 19 percent in market value after reporting, and the results also weighed on Snap shares. Snap lost $353 million in the quarter, or 27 cents per share. The stock jumped immediately following the IPO but has lost some 50 percent since. Snapchat is popular for private messaging, but most of the ads Snap sells accompany videos that are shared with a wider audience. The redesign meant to put more of the public content front and center sparked user backlash earlier this year. But the change has made it more difficult for Snapchat to distinguish itself from other video-heavy apps and draw premium prices.